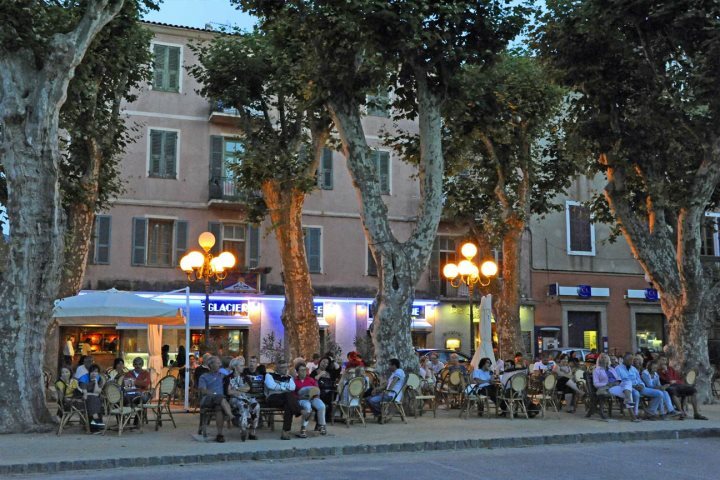 From cafes on the main square to family restaurants tucked down cobbled streets, there's a great choice of restaurants in L'Ile Rousse. 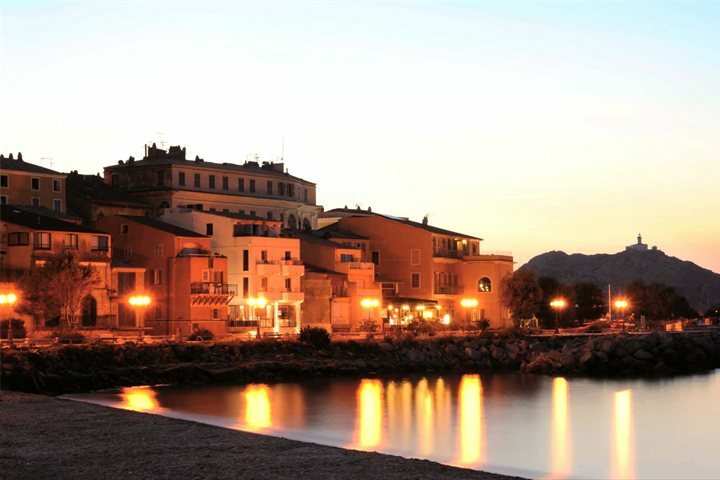 L’Ile Rousse is one of my favourite coastal towns in Corsica and the sea there is a crystal clear aquamarine by day and equally beautiful by night, with the lights from the beach-side restaurants reflected in the water. 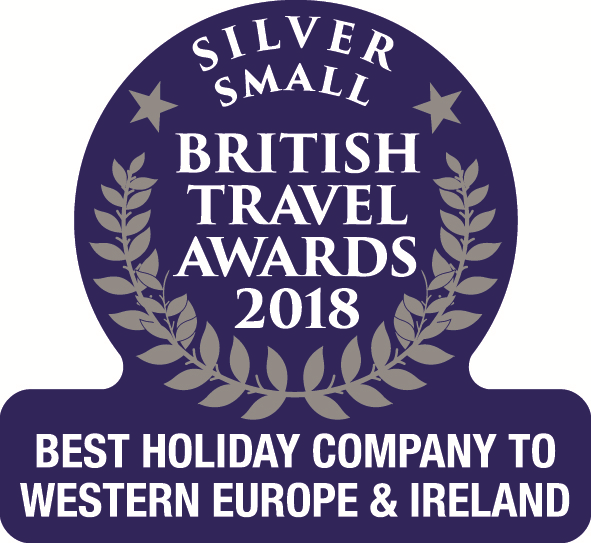 You’ll find a fantastic range of eateries to choose from here, whether for breakfast by the beach, lunch in a quiet cobbled backstreet or dinner as the sunsets, lighting up the promontory with a rusty glow (from where the town gets its name – the red isle). The many restaurants vary in style, price and quality so with that in mind here’s a heads-up on some of our favourites. A delightful fish restaurant, offering a genuinely warm welcome, that is easily overlooked due to its location by the port, however, it is well worth the short walk out of town or if you prefer to drive there is plenty of parking. Excellent food and extremely friendly service. Popular and reasonably priced seafood restaurant, tucked away in a cobbled back street. Known for its excellent paella, friendly service and pleasant atmosphere. Atmospheric tapas and fish restaurant with friendly and attentive staff. Booking recommended. A simple, welcoming, small restaurant offering good, traditional home-cooked food using local produce all at a reasonable price. Good for families. Hearty home-cooked Corsican food in a friendly family run restaurant. Their tasting plate is great choice if you’d like to try traditional Corsican cuisine. Vegetarian options. Traditional Corsican cuisine at a reasonable price. 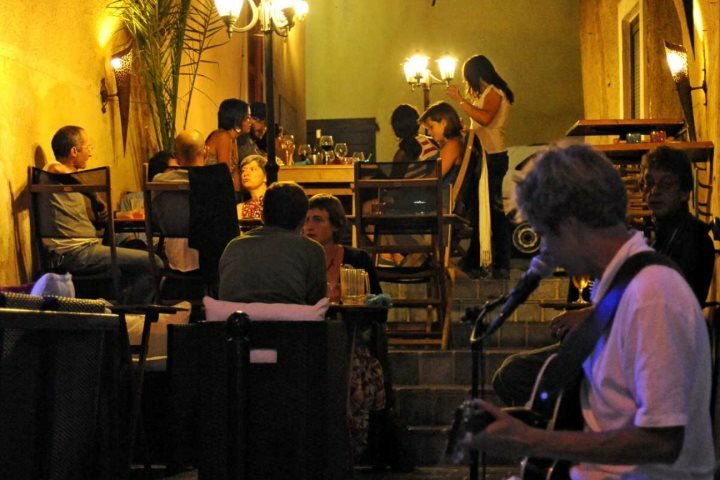 This lovely restaurant is situated on the corner of the main square, with the kitchen on one side of the road and the majority of seating on a raised terrace on the square itself. With an excellent choice of meat and fish dishes this restaurant is reputedly one of the best in Corsica so it is no surprise that the prices are higher than some other restaurants. Rather than being offered a wine list, the friendly owners will happily recommend a wine to compliment your chosen menu. Popular with locals, booking in advance is recommended. Simple, authentic Corsican food and wine in a friendly atmosphere. Their Corsican cheese and charcuterie platters coming highly recommended, as does the local produce that you’ll find for sale in their shop next door. In a fantastic location right on the beach with the crystal clear water just a couple of metres away. Dine with your toes in the sand. 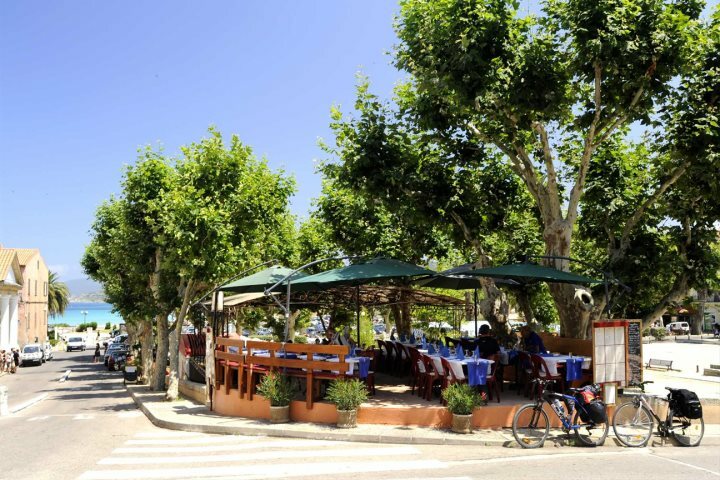 If all these wonderful restaurants are tempting you to visit L'Ile Rousse here are some recommended places to stay in around this lovely seaside town. Hôtel Santa Maria A comfortable beachside hotel just a short stroll from the centre of town. Chez Dorothée is conveniently located in the heart of l'Ile Rousse, with a beautiful sandy beach and close to shops, bars and restaurants. Hôtel le Splendid A traditional hotel in a quiet part of L'Ile Rousse with the beach, shops and restaurants close by. 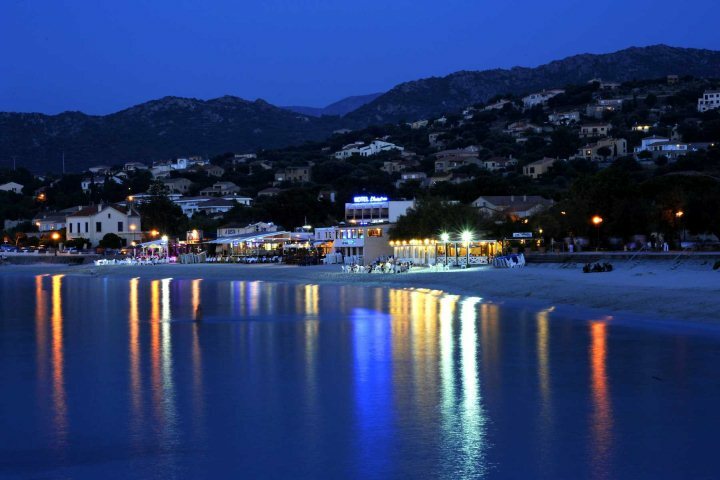 Find more hotels, villas and apartments in L'Ile Rousse and La Balagne region on our website, Corsica.co.uk.